3 Beds 2 Baths 624 Sq. ft. Description: 1/4 Acre Lot! East Stockton 2 bedroom 1 bath cottage / bungalow. Large 2-Car detached garage with a guest room and bath. Lots of room for RV's or a huge garden. 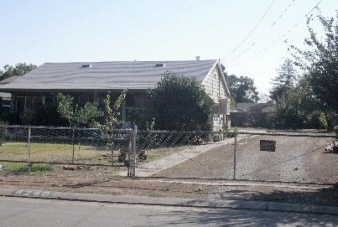 The large lot is completely all fenced for your privacy and security.